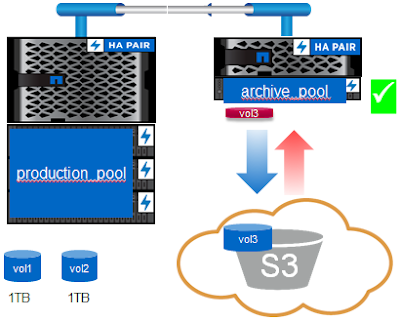 Caveat lector: This post is unofficial and details of ONTAP 9.2 are subject to change whilst it’s not yet GA.
6 months after last years "Highlights from the ONTAP 9.1 RC1 Release Notes", comes another new and exciting ONTAP release. The following post covers changes in 9.2 as in the 9.2RC1 release notes, with a bit of supplemental material on 3 highlights. - Preference to maximize latency and throughput. Saving the best for last ... FabricPool is arguably the most exciting new feature in ONTAP 9.2. Note: The Performance Tier needs to be on flash (i.e. 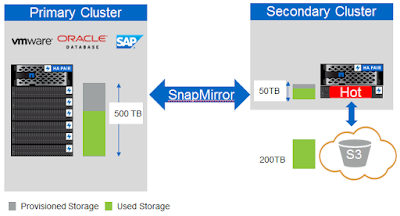 SSD aggregates only). 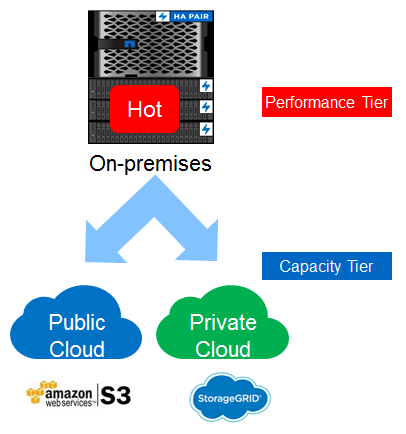 Check with NetApp for supported platforms. Image: FabricPool use case 1: Putting snapshot data in the cloud. 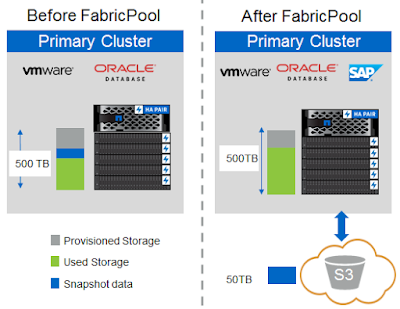 Image: FabricPool use case 2: Expand the capacity of secondary cluster by automatically tiering data to the cloud. Image: FabricPool use case 3: “Vol move” off Production HA-pair aggregate to Archive HA-pair aggregate and tier to the cloud.